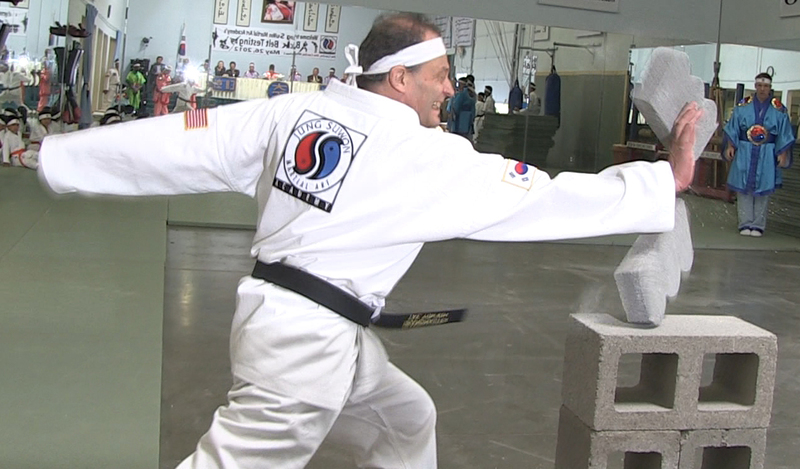 Almost a year ago, in May of 2012, we had an exciting black belt testing. 3 Gentlemen were testing, and today, we’ll highlight Mr. Greg Dumas. 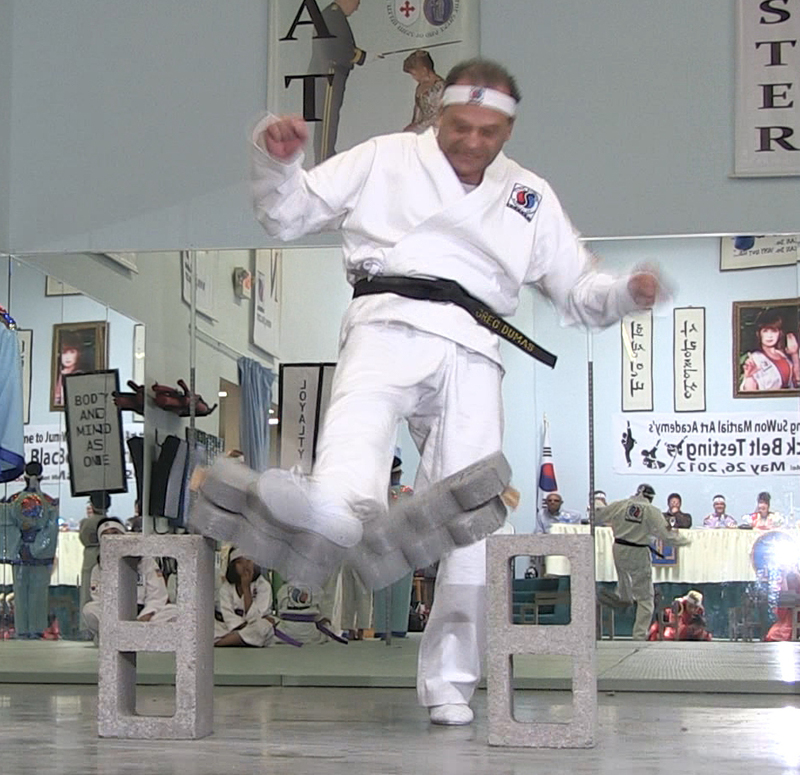 Prior to his start in the Martial Arts, Mr. Dumas had never engaged in any physical activity. He was an engineer, and only used his mind, never his body. He is a great engineer, and holds several patents. During his first year of training, or perhaps, even years, when he started training at Jung Suwon, he only would come in the afternoons and walk around the Do Jang when nobody else was there. He would do that for hours. Great Grandmaster Tae Yun Kim just let him be, and gave him that freedom to express himself that way. 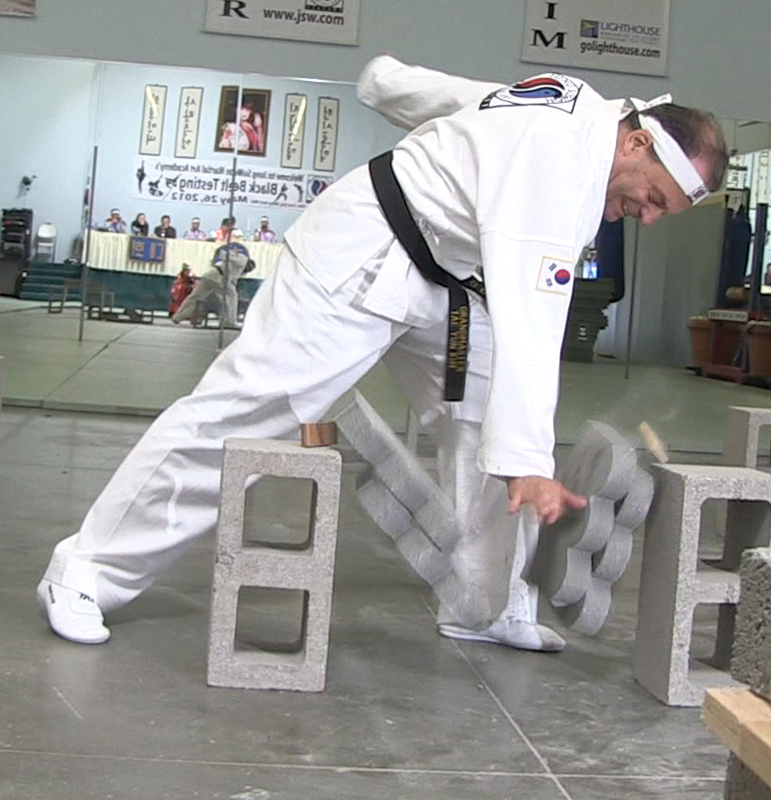 Under Great Grandmaster Tae Yun Kim’s carefully planned training, Greg improved incredibly over the years. He gained confidence in his physical abilities, and learned to put body, mind, and spirit together as one. 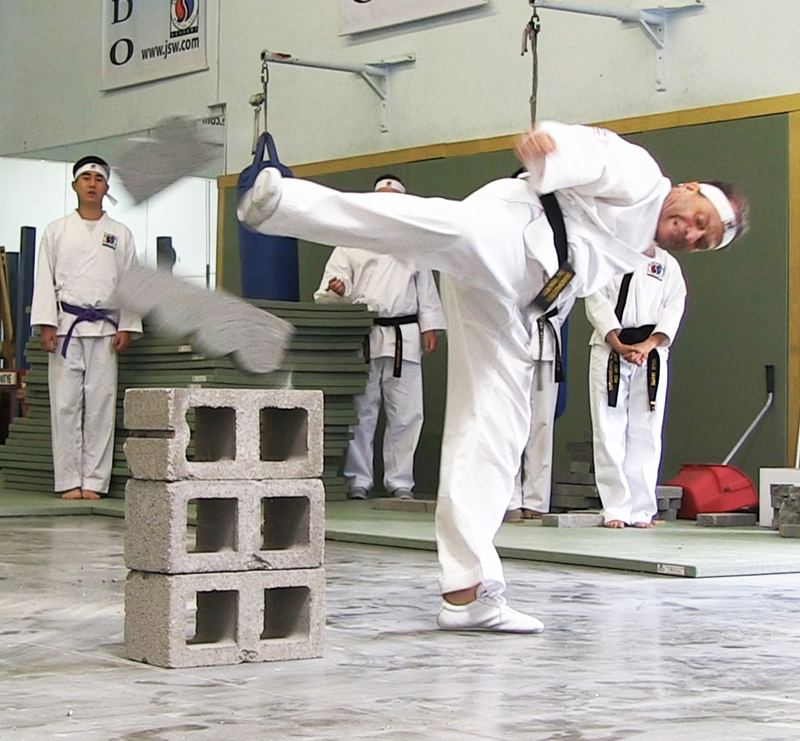 Now, he is full of confidence, has joined the Jung Suwon Demo team, and is a living example of Great Grandmaster Tae Yun Kim‘s teachings. See in the following pictures what an incredible warrior he has become!